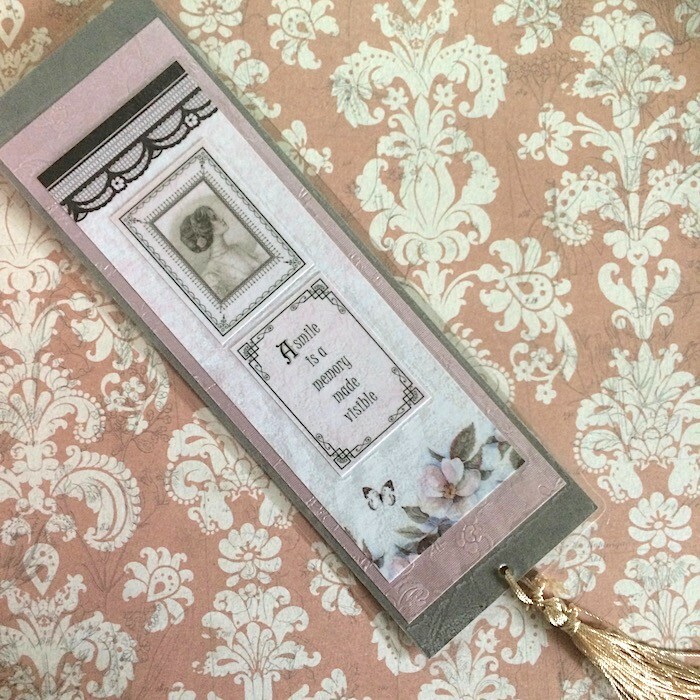 This delightful bookmark was made using a grey leather textured card on which I have layered a metallic dusty pink with floral patterning with a pretty pink paper over which includes some lace at the top and flowers and a butterfly at the bottom. 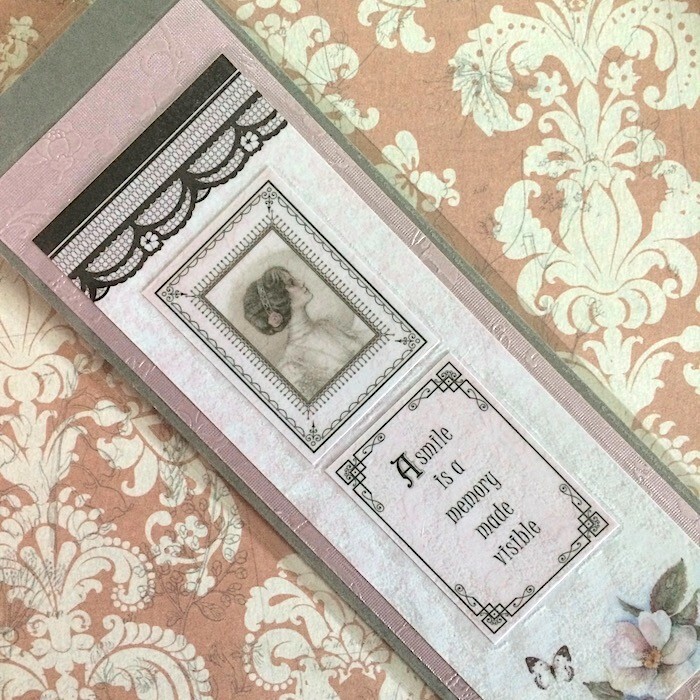 The final layer includes a beautiful picture of a beautiful Edwardian woman and a message, ‘A smile is a memory made visible’, both of these being in ornate frames. 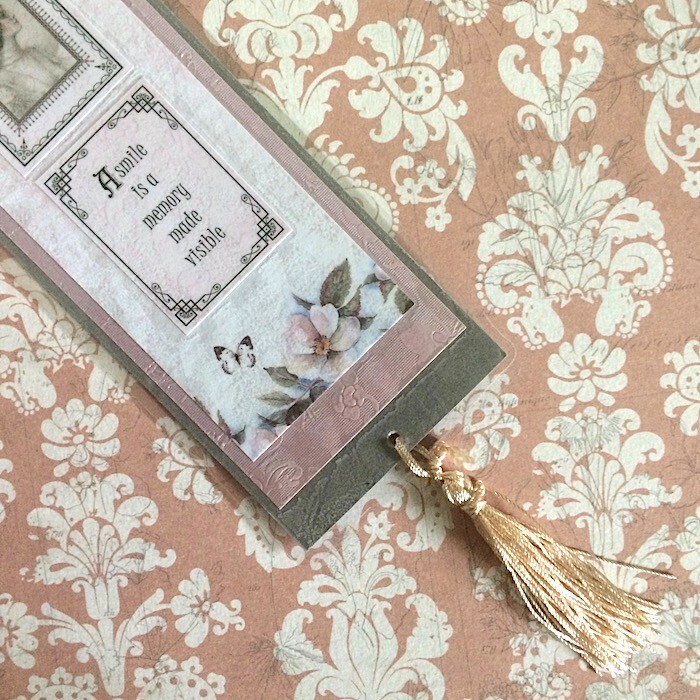 The bookmark has been laminated to make it more durable and the final touch is a lovely silken tassel. 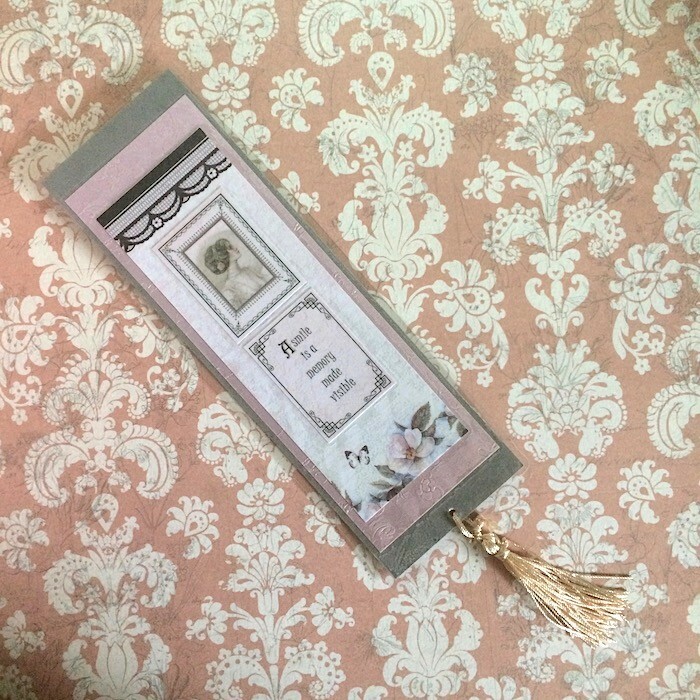 The approximate measurements are 200 mm X 65 mm.